Now, for today’s Holiday Craftacular blogger, Tee! 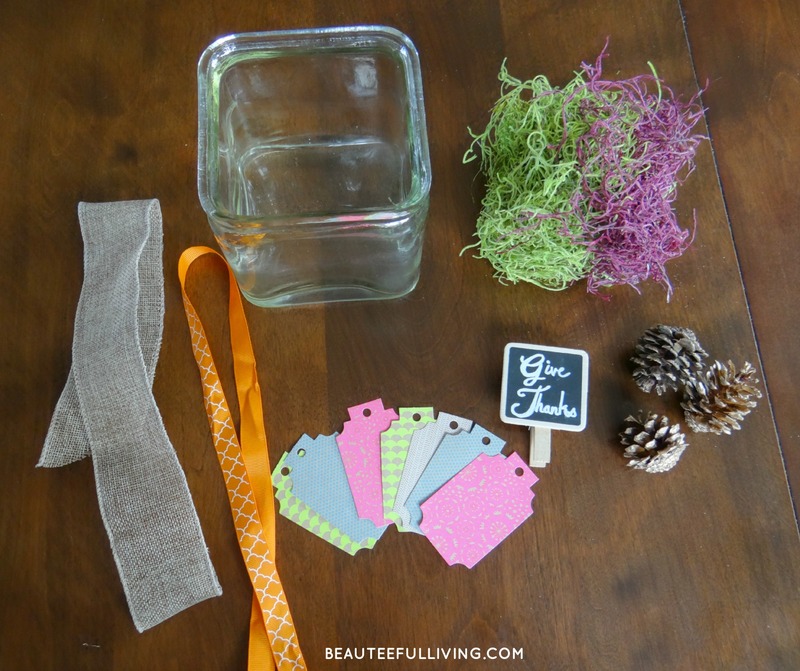 Welcome back to the fourth day in our week long Holiday Craftacular link up! I’m Tee and I blog at Beauteeful Living. 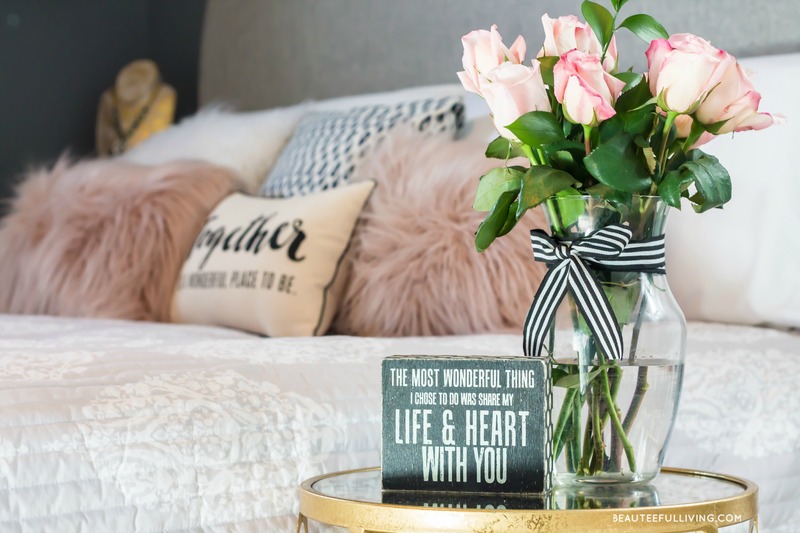 As a lifestyle and decor blogger, most of my posts relate to family, home renovations, DIY, and decorating. I’m a writer at heart so sprinkled in between my decor-related posts, I enjoy sharing commentary on things going on in my little world. Being a parent definitely keeps things interesting! I hope you’ll stop by and visit! 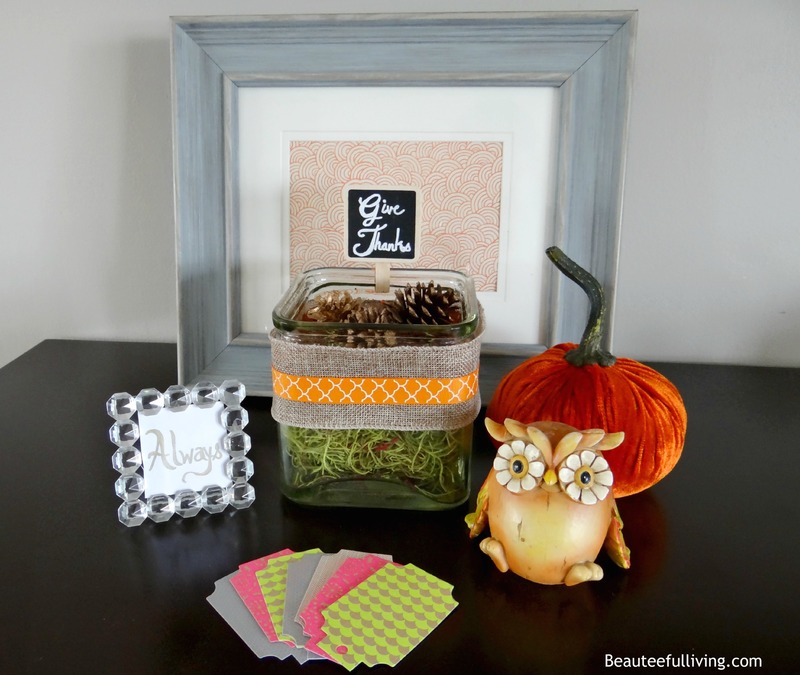 Before I share my “Give Thanks Display” for Thanksgiving, I’d like to first share one of my favorite posts that linked up from the last round of the Holiday Craftacular link up. 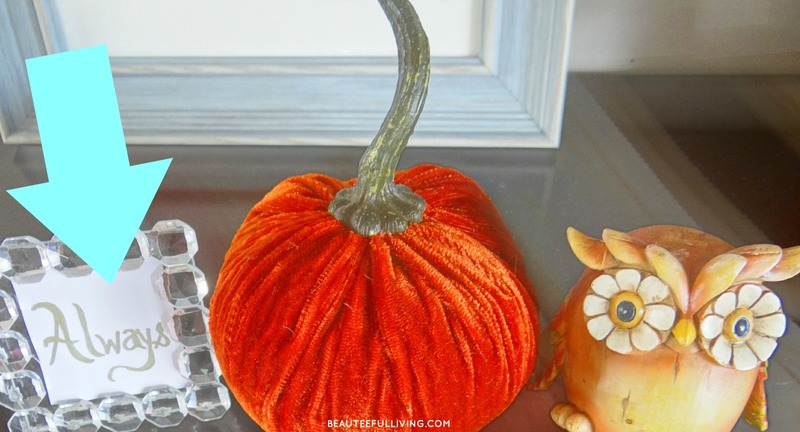 I’m featuring this adorable “Spooktacular Halloween Mantle” from Cat at Pocketful of Posies. Be sure to head over to Cat’s blog to check out all the fun details. 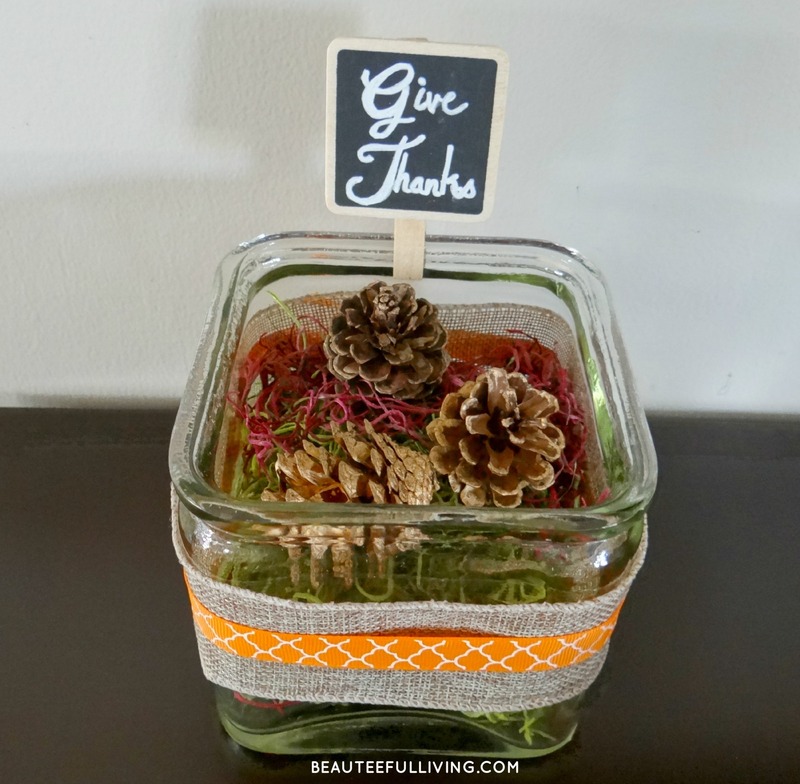 Today, I’m sharing an easy tutorial on how I created my “Give Thanks Display” for Thanksgiving. 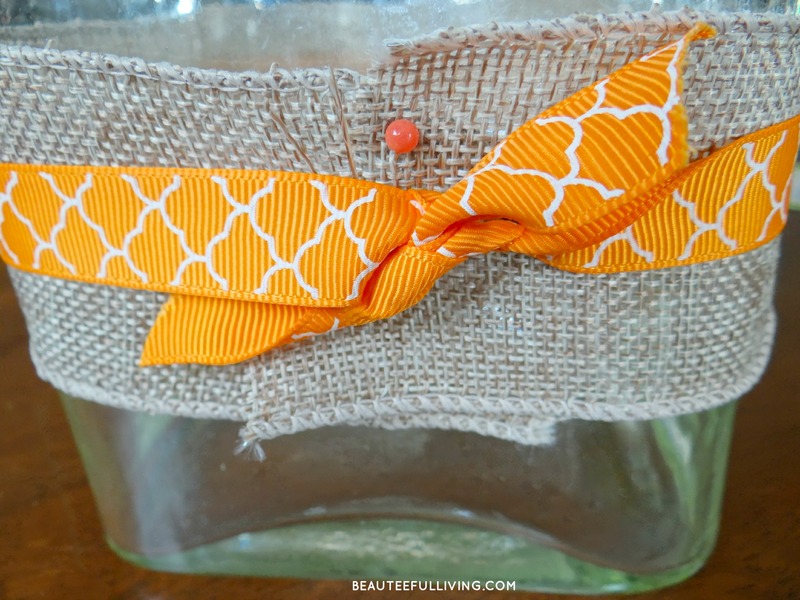 Wrap burlap and thin ribbon around vase and secure with straight pin. I tied the thin ribbon to secure it. 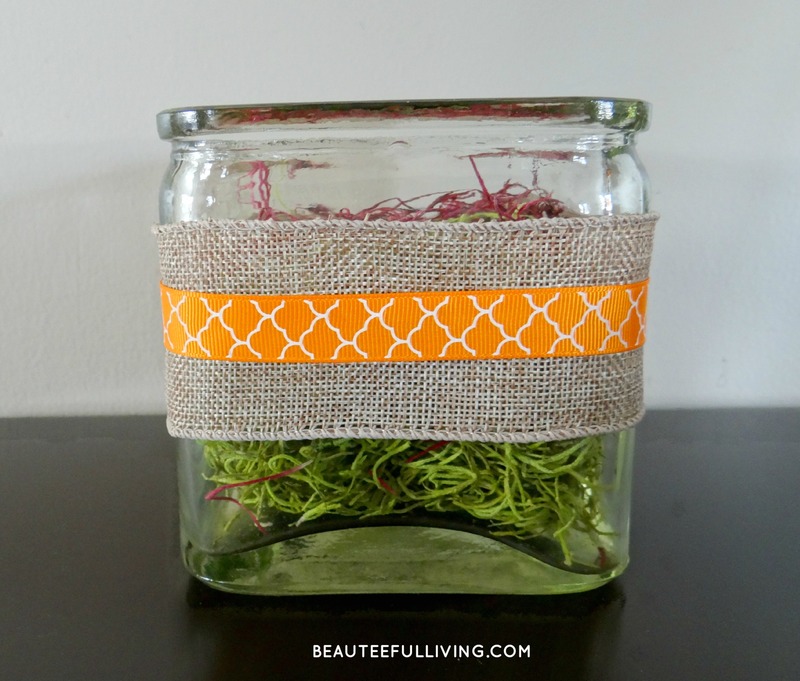 Fill glass container with moss. Place pine cones on top of moss and clip chalkboard onto container. Make sure you’ve written “Give Thanks” on chalkboard clip first. As a pretty backdrop, I used this rustic picture frame and added some pretty card stock for color. Want to personalize this project some more? How about some extra credit? 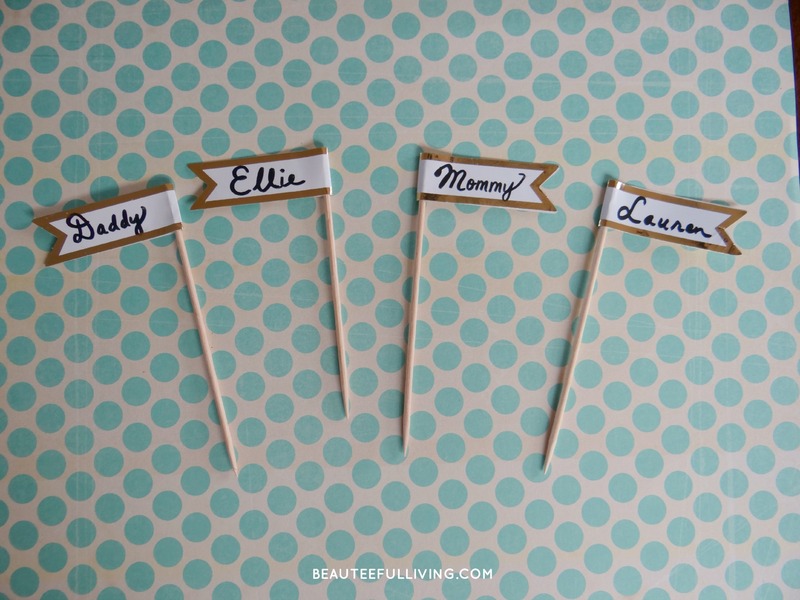 You can create cute flags with names of each of your family members! 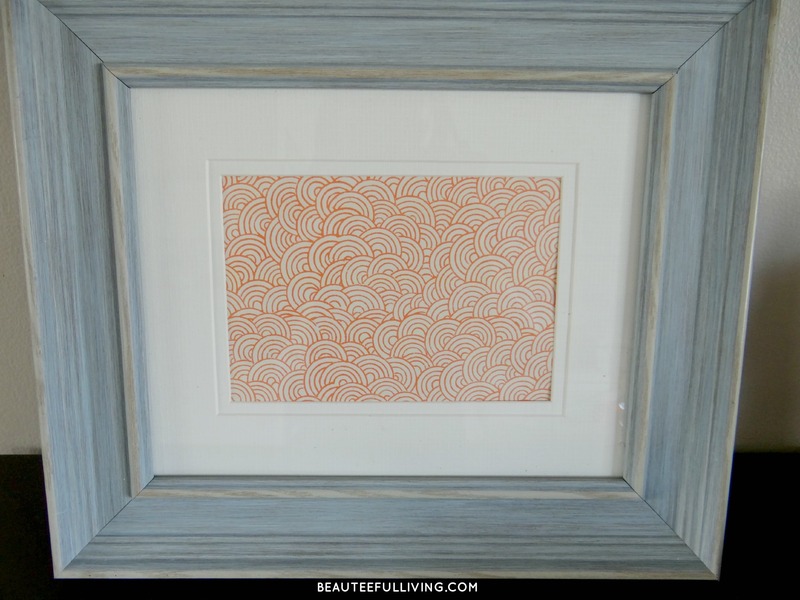 The frame is my absolute favorite, I love the paper you used in it! I have also been wanting a velvet pumpkin, did you make or buy this one? I heard Marshalls had them really cheap this year, but I didn’t have a chance to swing by before they were gone. You did great on this! These are so great, you guys did an awesome job! Hi, Tee ~ I love your Give Thanks Display! 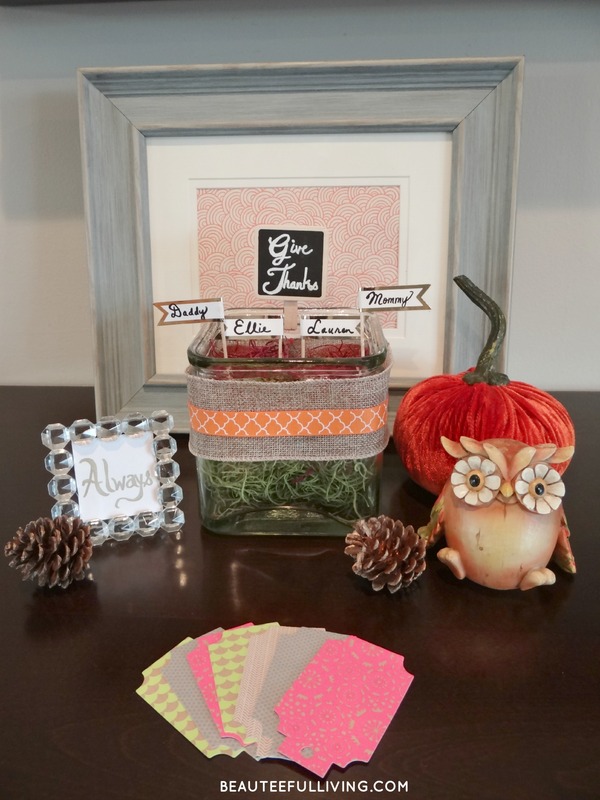 I’m especially crushing on that scrapbook paper in the rustic frame. :0) And I love the idea of putting out paper, so that everyone in the family can record what they’re thankful for! I’m looking forward to checking out all of the projects that are linked up. Have a great day! All of these projects are adorable! !